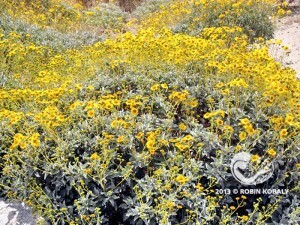 Brittlebush explodes with color from winter through spring, and after rain, attracting butterflies with its nectar, and later, songbirds with its seeds. 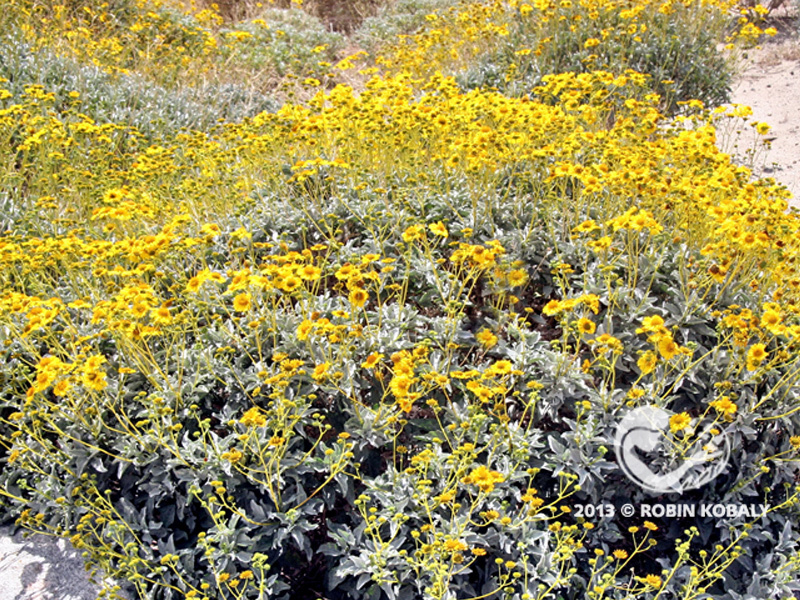 Gardeners love Brittlebush’s silvery leaves the rest of the year. Brittlebush is a fast-growing, aromatic, rounded shrub with bright yellow flowers that contrast beautifully with its large, gray leaves. Its silvery foliage is a landscape plus, lovely against cacti or darker green plants. Although Brittlebush is evergreen, it is drought-deciduous, dropping its leaves to save water when the soil is extremely dry for an extended period. 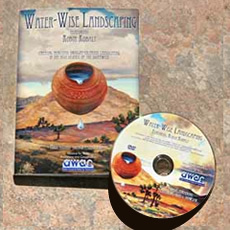 Infrequent watering during dry seasons will convince Brittlebush to retain its leaves all summer, but excess watering produces large, short-lived plants. This native sunflower makes a great border or filler, takes reflected heat in stride, and is an excellent choice to prevent soil erosion on slopes. Butterflies sip its flower nectar, and songbirds eat its plentiful seeds. The amber-like sap that drips from damaged branches was collected historically to burn as incense, hence its other name, “Incienso”.